Multiple Sclerosis (MS) is a condition which affects the brain and/or spinal cord. Multiple Sclerosis symptoms can occur in any part of the body. MS had a wide variety of symptoms (such as problems with fatigue, vision, coordination, balance or sensation), however MS is different for everyone. 80% of people with MS have Relapsing-Remitting Multiple Sclerosis. This involves episodes of new or worsening symptoms, with slow improvement over time. Primary Progressive Multiple Sclerosis involves a gradual worsening and accumulation of symptoms. People with this form of MS may experience periods of stabalisation, but not remission. 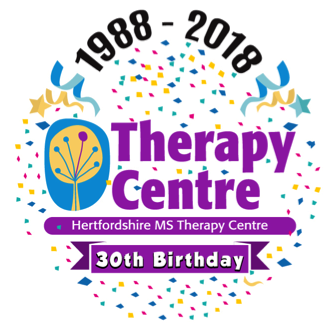 We are a registered charity which was created to help people with Multiple Sclerosis over 30 years ago. Today, supporting people with MS is still our goal. We also welcome people with any long term or neurological condition. We are proud to have the only Oxygen Chamber in Herts and want to make it available for you. You are welcome to have a free test Oxygen Therapy session. Our friendly, trained team will be available to answer any queries you may have. To arrange your free appointment, please call Claire on 01462 684 214 or email enquiries123@hmstc.net. If you or someone you know has recently been diagnosed with Multiple Sclerosis, you may find our Newly Diagnosed web page helpful.